A worldwide famous classic Italian song. "Nel blu dipinto di blu", Sanremo Festival in 1958, by Domenico Modugno. 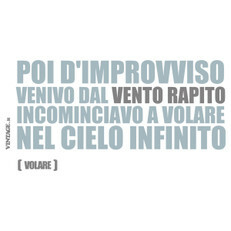 It stays for everyone and forever "Volare". 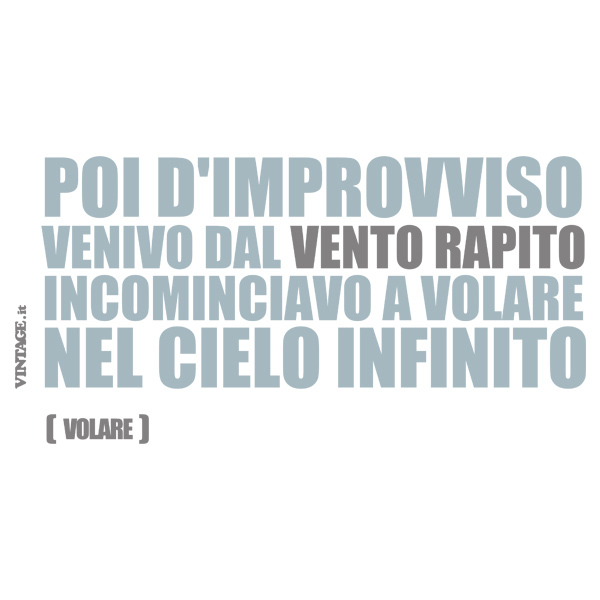 So let's fly with our new T-Shirt!